Our annual summer intensive is taking place Saturday, June 22nd 2019 with not just one, but two guest instructors (David Norton and Brian Mizerak! 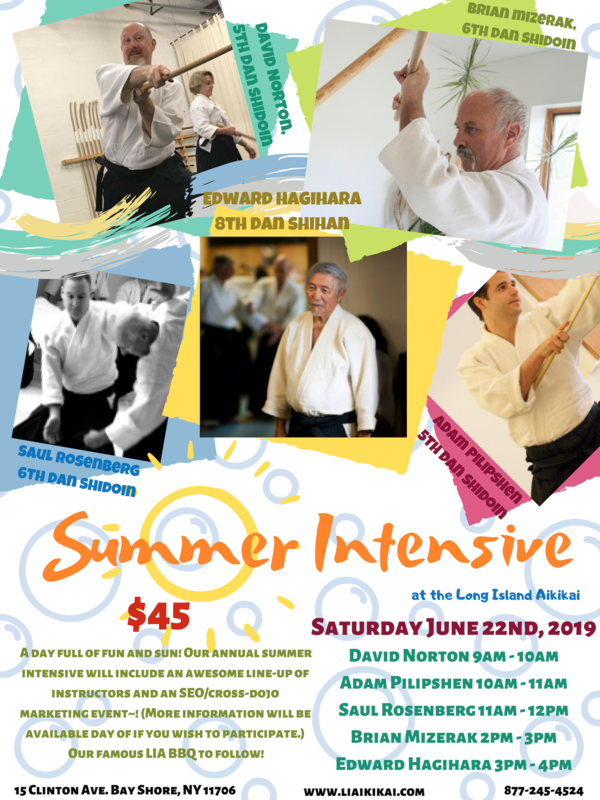 ), Adam Pilipshen, Saul Rosenberg, plus our very own Hagihara Shihan! Our famous LIA BBQ to follow, and a social media/cross-dojo/business boost workshop for those who wish to participate~! Let’s kick of summer! Overnight accommodations available to visitors, contact us for more information.